As for the altar of the presbytery, the original disappeared victim of the Napoleonic War. The current comes from the last century, the Hospital de Santa Cruz de Toledo, founded by Don Pedro Gonzalez de Mendoza, Cardinal of the Holy Cross in Jerusalem. 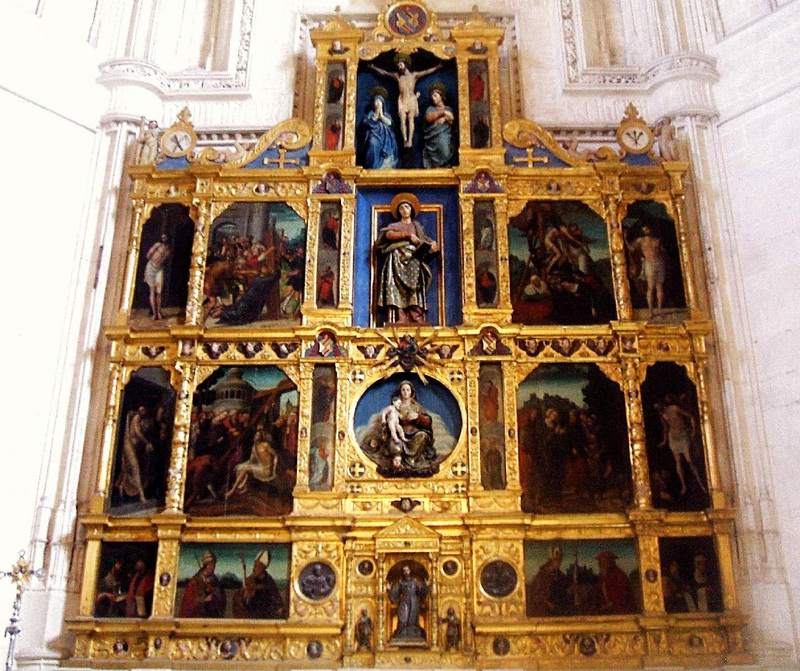 Its author is Francisco de Coomontes, carver and painter, as stated in the contract, “said altarpiece of the hazer, ANSI size as the work of Pinzel“. 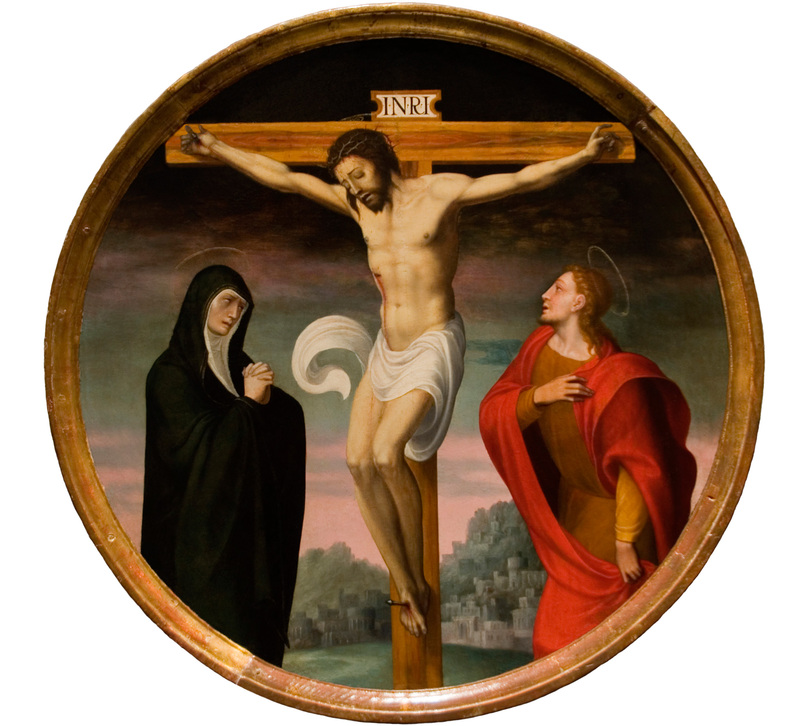 The paintings are alluding to the story of the invention of the Cross by St. Helena; to the steps of passion, Fall and Descent, the author adds the father of longtime Judas Iscariot, finding Santa Elena for the three crosses on Golgotha​​; Also, the right, the miraculous resurrection of the dead at the touch of the true cross of Christ, miracle that allowed to identify it among other thieves crucified. The side streets are paintings depicting the flagellation, “Ecce Homo“, the Resurrection and the Descent into Limbo. At the bottom, the middle Doctors saints and prophets of the Old Testament at the corners, dressed in the fashion of the time. In the main street, up and down, a Calvary with Mary and John the Evangelist; a carving of San Juan, the current work of Felix Granda, replacing a set with Santa Elena and Cruz, accompanied by San Pedro and Cardinal, prayerful; a relief of the Virgin and Child; instead of the original tabernacle, missing, beautiful plateresco altarpiece with the image of San Francisco de Asis, School José de Mora. In the grooves, an apostolate oil painting, plenty of crosses of Jerusalem, arms of Cardinal signs of the Passion and decorative medallions.